Pressing her ear against the door, she listened for voices inside. She could hear her brother, but no others. She rapped on the door with her knuckles, gesturing for the young couple to stand out of the line of sight behind her. There was a moment of silence before the door opened. Eldarion smiled and continued petting the wolf as Lady Ardis explained she had her mother's heart. "In that case your mother had a beautiful heart," Eldarion said gently, smiling as he allowed the wolf to lick his skin, and found a better spots to caress her and scratch her. "I have rarely seen a more beautiful wolf. I am glad I did not raise my weapons against her, as it would have caused me as much pain as it would hurt her... I have always loved animals..."
He listened to Ardis as she spoke of her father descending into complete darkness if it wasn't for her mother. "Many men have been saved from darkness by the love of a good woman," he mused, sending his own beloved Ailsa a gaze that revealed how much he loved her and what he was willing to do to be with her for the rest of his life. Following Lady Ardis, he led his Ailsa to the military barracks. One arm wrapped protectively around Ailsa's shoulder he kept his other hand on the hilt of his sword in case anyone should get the brilliant idea to attack them. So far nobody seemed to know they were here, and he was relieved when they finally reached the large building at the back of the area. His senses were keeping watch as Ardis rapped on the door with her knuckles, making sure that nobody could see him or Ailsa while they waited for the door to open. He heard no voices from the inside of the room, but footsteps coming closer to the door and a suspicious silence before the door suddenly opened. Ardis waited until the door opened, hoping that who ever answered would let them inside quickly. As light from inside flooded the entrance way, the woman smiled at Yvette's innocent face. The girl was still in her party dress, her hair more ruffled than normal. Before the girl could speak, Ardis placed a finger to her lips, signaling she wanted her presence unannounced for now. She motioned behind her for the couple to enter before going inside behind them. As soon as she was inside, she closed the door and discreetly locked it behind her. It was then that he saw two visitors, Ailsa standing nervously at Eldarion's side. “I found them,” said Ardis meekly, offering her brother a small smile. Haidar's face lost all color and his muscles tensed. "No," he said firmly. "No, Ardis, whatever you are planning . . ."
"They have no where else to go," protested Ardis, placing herself in front of the door. "Should I send them to the forest to die alone or worse be captured by her father's men? What chance would that have of changing Ulric's power?" "So you bring them to me?!" snapped Haidar, complete beside himself with frustration. "You have chosen to place our people in danger because of your foolish plan! I may be the commander of the military, but that does not keep me safe from suspicion. How am I going to explain this the elven council when they learn the enemy's child is hiding out in my home! Why would I ever choose them over our people here?!" "You will choose them because they are family," answered Ardis softly. "And because you know it is right." Eldarion smiled bashfully as Ailsa said she couldn't imagine his pure heart overtaken by darkness. "My sister claimed the exact opposite when I threw a spider in her hair when we were younger," he admitted. "I should perhaps make you aware that your future husband at times can be a skilled prankster." When the door opened, Eldarion was surprised to catch a brief glimpse of little Yvette. Before he could say something Ardis ushered him and Ailsa inside. He kept silent, knowing that he should not make his presence known just yet. Glancing around the room he noticed it was clean and neatly kept. From the small kitchen he could smell the lovely smell of hot chocolate and freshly baked buns. Yvette pipped up when Daddy asked her who was at the door. "It is auntie Ardis, Daddy," she replied. "And she is not alone..."
Eldarion was not surprised to hear that Lord Haidar had not enjoyed his parent's party. To be honest, neither had he, at least not after Ailsa was sent away and he chose to follow her. He said nothing as Ardis spoke to her brother, knowing that he probably only would make things worse by saying anything. He could sense a battle between two strong wills. Which one would win in the end? He was not surprised to know that Lord Haidar was unwilling to receive them either, and he was about to speak and suggest he and Ailsa went somewhere else - more safe for them. But the news that Lord Haidar was family surprised him. Family to who? He knew that he and Lord Haidar were not related even if they so far had been the best of friends. Perhaps Ailsa? The elf threw Ailsa a questioning glance, hoping she could explain. At that moment a young blonde woman appeared in the doorway, her hair shining like a halo around her in the light from the crackling fireplace and her bright blue eyes directed towards Lord Haidar. "The supper is ready, Mylord," she announced and offered a deep curtsey. Then she discovered the newly arrived guests. "Should I set the table for more guests, Mylord?" she asked, looking at Lord Haidar as she waited patiently for his decision. Safely inside Haidar's home, Ardis winced when Yvette announced that she was not alone. She had hoped to keep her brother in the dark as long as she could. While she knew convincing her brother would not be an easy task, Ardis was disappointed that he was being this stubborn. But when she mentioned family, she could see the light in his eyes change. He faltered in his stone-face, stepping back as the blow landed. "What is she talking about?" Ailsa asked softly. "You truly wish to play with fire, don't you?" growled Haidar, pointing a finger at his sister. "All you will gain is heartache and ridicule, everything I tried to protect you from your entire life! Why put yourself through all this?!" He paused as Isabella entered, too angry to give his usual smile. When she asked if there would be need of more place settings for the guests, Haidar shook his head. "No, they will not be staying for dinner. In fact, they were just about to leave with my sister!" Haidar stepped towards the door to unlatch it when Ardis took his arm. "Atara atar vesta," she told him. "Have you forgotten your promise?" "That is not fair, Ardis," he answered, his eyes misting. "This is not the way." "This may be the only way! Please . . . If anyone has the council's ear, it would be you. You must do this for Mother, for your family." Turning to Ailsa, she took the girl's hand and lead her closer. "She is all that is left of your bloodline, Haidar. She is your only true family now." Yvette looked up at Daddy with a smile when he came over to her to see to their guests, but her smile disappeared when she saw the light in his eyes change. She sensed he was upset for some reason but she didn't know why, and she hoped it wasn't her fault. What is wrong, Daddy?" she asked with tears in her eyes. "Did I do something wrong? I'm sorry. I didn't mean to upset you..."
Elrond had expected the Kamalli leader to be upset. He held his arms around Ailsa, wanting to protect her if they were arrested and taken away. But so far Lord Haidar had not called for the guards. "We do not wish to cause any trouble," he said softly. "I have been trained to survive the wilderness, and I can protect Ailsa from harm until she has learned to wield a weapon on her own. We'll be fine... I don't want any of you to get in trouble for our sake." Yvette listened to her father as he growled at Ardis, speaking of her playing with fire. She didn't understand exactly what Daddy meant, but perhaps he was afraid that Lady Ardis had played with matches? He was her big brother after all. "Auntie Ardis hasn't been playing with matches at all when I have seen her," the little girl lisped, not wanting her aunt to get in trouble. Isabella looked at Lord Haidar in wonder when she saw him this angry. She was not used to see him like this and wondered what had caused his mood to change. "Is there something wrong, Mylord?" she asked humbly, ready to help if she could. Eldarion listened as Ardis took Lord Haidar's arm and spoke to him. Being an elf himself, he had no problems understanding the Elven words spoken. "Promise?" he asked. "What promise?" He looked from Lady Ardis to Lord Haidar, hoping one of them would give him a reply. His curiosity increased when he heard Lady Ardis speaking of Ailsa being all that was left of his bloodline. "Wait a minute," he said as he looked from Lord Haidar to Ailsa to Lady Ardis. "You mean that Lord Haidar and my Ailsa are related?" Little Yvette looked up at Ailsa with a smile lighting up her face. "I hope you are related to Daddy," she smiled. "You are kind, just like he is. I like you!" Ardis waited for her brother's judgement, hearing Eldarion's claims that they could live in the forest. "This is not a matter of your mere survival, Eldarion," she pointed out. "If you want any chance to get back to Taret and confront the King, you will need allies. Isparia is the only place you will find them." Yvette's innocent knowledge of his words made Haidar crack a small smile, a weakness in his defense that Ardis quickly leapt upon. "Your father only thinks that I am going to far in my help with Ailsa," she explained. "He seems to forget who's child I am and that I have seen more than fire in my lifetime." Haidar closed his eyes as Eldarion asked about the promise that was made. "He promised to defend the royal house of Taret, the house of his family, against any danger. He swore a blood oath to his mother that he would make sure that the human lands didn't succumb to Ulric's madness." "But that task was impossible," snapped Haidar. "You know as well as I that the human lands were doomed the moment the war began. I could not defend both the Kamalli and our people. A choice had to be made, a choice that our parents made when they denounced their family name and came to Isparia." "They denounced it in hopes of safety for their children, for us," added Ardis. "You know that they foresaw the madness of our uncle. But they also knew the war would end and a new leader would be needed. It doesn't have to be you now, Haidar. 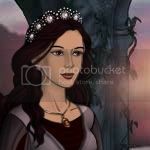 With your help, Ailsa can make her claim to the throne again." When Eldarion asked about the relationship between Ailsa and Haidar, the man squared his shoulders. "Yes, it is true. My mother was the eldest daughter of King Glaskin, your grandfather. On the outset of the war, Glaskin gave our parents a pardon and helped them to journey to Isparia. The Kamalli were under attack from the Shadow, a soul-less being that corrupted the heart of your father Ailsa. Glaskin could do little with his power apart from help his family get to safety with the elves. From there, my parents lead the attacks on Taret, hoping that they could overthrow the Shadow's power over the King. They tried several times, but ultimately failed. My mother made me promise, as she died, that I would continue the effort and bring the kingdom back to peace." Eldarion listened as Lady Ardis spoke of their chances to get back to Taret and confront the King, and he had to admit she had a point when she claimed it would be easier with allies. But from the reaction Lord Haidar had when they first entered the room, he wasn't sure if they would find any allies here either. However, since the Dark King was Ailsa's father, he allowed her to make the decision of whether they left or stayed behind. He would follow her no matter what she chose. Yvette looked up at Lady Ardis with childlike wonder when she spoke of who's child she was. "Don't you and Daddy have the same parents?" she asked. "I know I'm only 'dopted, but Daddy is my daddy anyway, and I love him more than anything in the world." When Ardis spoke of the blood oath Haidar swore to his mother, Eldarion listened with interest. He had never sworn a blood oath himself. It was love that made him follow his Ailsa and stand by her side no matter what would happen next. "It sounds like a noble cause, Mylord," he said gently. "Nothing to be ashamed of. I will offer my support if I can." The elf listened in silence when Lord Haidar spoke of how the human lands were doomed when the war began, as Lord Haidar could not defend both the Kamalli and the people. "As you know, I am well trained with weapons, Mylord," he said gently. "I have already promised Ailsa that I will help her with her training so she can fight her father one day. If you can use me for anything, I will be glad to help." He waited for Lord Haidar to make his decision, squeezing Ailsa's hand gently. He wished to show her that he was always on her side, ready to fight to protect her from harm and keep her safe at any cost. If the Dark King wished to attack her, he would have to go through Eldarion first. Eldarion listened as Lord Haidar explained his relationship to Ailsa. He knew that Lord Haidar's parents had been noble and brave, giving their lives in the fight for freedom. His father Elrond had fought side by side with them and King Thanos the Wise. But this was the first time he had heard that Lord Haidar's mother was the eldest daughter of King Glaskin. "Your grandfather was a noble man," he told Ailsa and Lord Haidar. "I am sorry to hear of the tragic fate of his son. It must have been painful to all his family." Ailsa took in all the new information with reserved panic. It seemed that her secret was more of a problem than she originally thought, now splitting a loving family apart. She worried if she would ever be able to live up to the expectations that Lady Ardis was placing on her now. She listened as little Yvette asked Ardis about her parents. She smiled as the elder woman knelt at the child's side and took her hand. "I was an orphan, just like you. Your father's parents adopted me when I was a baby and raised me as Haidar's sister. We are family now, but we do not share parents." The blood oath made Ailsa curious, knowing that it was a bond not easily broken. She heard Eldarion offer his help in the Lord's mission but was surprised when Haidar shook his head. "This is not an oath that can be given help," he explained. "My mother made me promise to overthrow her brother's reign and find a new ruler. Until today, I always thought that she meant me." "But she was talking about me, wasn't she?" asked Ailsa softly, stepping closer. "I hold no memory of your family, yet I remember my mother always spoke of Grandfather Glaskin with such reverence. If he judged your parents as noble and good, I must believe that. I believe that you were meant to help me gain my rights to the throne." "To complete this mission, you will be fighting an uphill battle," warned Haidar. "Not only will you have to leave the city with allies, but gain them in the Human Lands as well. All of Brunian curses your father's name and will curse you for your abandonment of the throne. I know you are only a child, but the burden of your father's legacy will fall on you." "My lord, I have been running from my fate for the last ten years," cried Ailsa, her cheeks red with emotion. "I feared my father's madness and abandoned my people to his cruelty. I gained a lifetime of knowledge on this journey and I know that I must return now. For all the years I have hid in the shadows, I deserve the malice of my people and will work to earn their trust again." Haidar was silent for a moment, his cool eyes dancing with thought. "What do you wish of me?" he asked and Ardis hugged him tightly. "For tonight, we only need a bed for our visitors," she explained. "Leave the rest of the preparations to me. We will announce our plan to the council in the morning." "You know the elves will block us at all paths," warned Haidar. "They are a people of honesty and will not appreciate being deceived. We will have to play our hand carefully. The Kamalli must be united for this to work." Seeing the reserved panic in Ailsa's eyes, Eldarion silently took her hand and squeezed it gently. He wished to remind her that he was here with her, and that he would never allow her to face the future dangers alone. He would always stand by her side and fight with her against anyone who tried to hurt her or cause her pain. Little Yvette listened as Ardis knelt at her side and explained that she had been an orphan once just like herself. Hearing this, the child hugged the woman tightly, knowing how it felt to be all alone in the world. "At least you got 'dopted by kind people and didn't have to live in an orphanage," she tried to comfort. "Master was horrible." She looked up at Ardis with curiosity when the woman said she did not share parents with Haidar. "Do you know who your parents are?" she asked. "I never knew mine, but I saw them in a dream when the Queen gave me the Test. The Queen says that my mother gave me away as a baby because she was not married to my father and her husband would be upset if he found out..."
For a moment her eyes showed hurt that her parents had not fought harder to keep her and sent her off to the orphanage, but then she snorted and tossed her head back with pride. "I don't need them anyway," she said. "I've got the bestest Daddy in the world!" Scampering over to Lord Haidar's side, she crawled into her usual spot in his arms and hugged him tightly, clearly demonstrating he was the only father she would ever need. Eldarion listened when Lord Haidar spoke of the blood oath, finding a new ruler for Brunian. He had to agree that it sounded like Haidar's mother had meant for him to help Ailsa gaining her rights to the throne. He nodded when Haidar spoke of what an uphill battle it would be to leave the city with allies and gather them also in the Human lands. He knew it would not be an easy task, but once the people learned how kind and sweet and caring his Ailsa was he was confident they would see her differently. And I will love and support her every step of the way, he thought to himself. He sighed in relief when Lord Haidar asked what they wished from him, knowing that the Kamalli Lord would not leave them out in the cold. Since she had not been told to leave, Isabella was still standing by Lord Haidar's side, listening when Ardis spoke of the need of a bed for the visitors. She waited for her Master to give the order of preparing the beds and also prepare the table for two more guests. "The beds can easily be prepared, Mylord," she informed. "I cleaned the guest room this morning. As for the supper we have enough food for the extra guests as well..."
Eldarion nodded when Lord Haidar warned that the elves would block them at all paths. He knew several of them personally and knew it was true. "What would you recommend us to do next, Mylord?" he asked, willing to help if there was something he could do. Haidar watched as Ardis hugged the child tightly as she spoke of the orphanage. Everyone knew that the memories were still strong for all the children and understood the bravery that Yvette showed by speaking of it now. "I knew my parents briefly," Ardis explained. "My mother was a shopkeeper's daughter and was very gentle. My father, though soft-hearted, carried a great burden. I am glad that he came to peace with his past before passing on." Learning that Yvette had not only been abandoned to the harsh life of the orphanage, but had also been the product of sin and deceit, Haidar understood better the child's desire to show her worth to the people of Isparia. He hugged her as she crawled into his arms, unable to keep his anger about the unwanted visitors. As the plan came together, Haidar heard Isabella announce that the guest room would be ready. "Ailsa will take the guest room and Eldarion will stay with me. As you are not yet wed, I do not feel comfortable allowing you to share sleeping quarters." When Eldarion asked what they would need to do next, the man sighed. "It appears that our meal is ready. We shall eat and get rest for the morning." "I will return at first light with your new clothing," Ardis told Ailsa. "If you are to win over the court, you must come prepared for battle." Snuggled into Auntie Ardis's arms, Yvette felt a little better as she spoke of how her birth parents abandoned her. She was glad to have a new home now, with Daddy and Auntie and Uncle and the sweet and gentle Elf Queen Radella - a fairy tale come true for a little girl like her. The child listened as Ardis told about her parents. "Your parents sounds like really nice people," she smiled. "I am sorry to hear of your father's passing. It must have been painful for you. But I am glad he came to peace with his past before he passed away. If Maurice was here right now, he would probably tell you that your parents are angels now, and watching you from the sky above. And they would be very proud of you, I'm sure." Safe in her father's embrace, Yvette hugged him tightly and kissed his cheeks, as to show him that she saw herself as his baby girl now and that she would never leave him. As long as she had Daddy Haidar she didn't need her real parents - and she doubted they would have wished for her to return to them. Isabella nodded when Lord Haidar declared that the guest room should be prepared for Lady Ailsa, and that Lord Eldarion would stay with him. "Yes Mylord," she agreed and offered a deep curtsey. "I will prepare the beds while you have supper. The beds will be ready when you have finished your meals." With light footsteps she left the room, staring to prepare the beds for the guests. In the kitchen the table was already made, and the supper was still warm and waiting for her Master's family and their guests. Eldarion blushed deeply by the thought of sharing sleeping quarters with Ailsa. He was relieved when Lord Haidar decided he should stay with him instead. "I agree Mylord," he replied. "As much as I love your beautiful cousin, I have sworn to Queen Radella that I would not share bed with my sweet Ailsa until we are married." The elf nodded when Lord Haidar spoke of a meal and then rest. "It sounds like a good plan, Mylord," he replied. "We will be more able to think of a good plan when we are fed and rested." He listened to Lady Ardis as the woman told she would return at first light with the girl's new clothing, wondering what Lady Ardis was up to now. But he knew that the Commander's sister was a bright woman and knew that she would come up with a good plan. Ardis listened as Yvette spoke of her parents. Maurice's words of wisdom made her smile, remembering how her father had been taken to the Land of Souls by her mother's spirit. "I am glad to see them both before he passed," she said softly, wiping a tear from her eye. As Isabella left the room, Haidar could feel the warmth of the room change. It was different not having her there to support him and listen to his problems. Perhaps there was more to his relationship with the young woman than he was admitting . . . Stepping aside, he allowed the guests to enter the kitchen and enjoy their meal. Once they had eaten their fill and gave their praises to the chiefs, they divided into their own sleeping quarters. Ailsa lingered at her doorway with Eldarion, nervous about being parted from him. Even if they had been told that Haidar would help them, she was still worried that the commander would change his mind in the middle of the night. Kissing the elf boy goodnight, she slipped into her room and closed the door. As a precaution, she left the fire poker by her bed . . . just in case. Yvette smiled and nodded when she heard that Ardis had been able to meet both her parents before her father passed. Seeing the tear in Auntie Ardis's eye she leaned in and gave the woman a kiss on the cheek. "I am glad you got to meet them," she said. "I bet they both were proud of you too for being so brave and kind-hearted as you are." She smiled and gave Yvette a friendly nudge as the guests praised the supper they had prepared, and as the guests left the kitchen to rest in their rooms, Isabella remained behind to clean up after the meal and do the dishes. Yvette helped her by clearing the table and put away the food before going to her room to change into her night clothes. Then the child waited for Daddy to come and kiss her goodnight and tuck her into bed like he used to. Eldarion followed Ailsa to her room, seeing how nervous she felt for being separated from her. "Don't worry my love, we are with friends," he whispered and kissed her cheek. "And if something should happen during the night, remember I am a light sleeper. I'll sleep with my sword nearby and will be able to come to your rescue as soon as you scream." After kissing his beloved goodnight, he moved to Lord Haidar's room, smiling when he saw the couch prepared for him. After placing his sword where he could easily reach it, he made himself comfortable on the couch and wished Lord Haidar a good night before drifting off to sleep. The following day, the energy of the house could be felt from the moment Ailsa woke up. She could hear breakfast being prepared in the kitchen, the soft voices of Yvette and Isabella barely heard over the clatter of dishes. Sitting up, she took a deep breath and moved off to the sink. There she splashed her face with cold water, hoping the shock would wake her from this dream. But it was all real and the disaster of the previous night came back to her. She wept a little as she thought about the pain that Eldarion must be facing. She would spend her entire life making up for that hurt. Finishing with her skin, Ailsa smoothed down her underdress and wrapped the overdress around her shoulders. Taking in her appearance again, she released her hair from it's confines and draped it over her shoulder. Retrieving the leather band, she braided her hair in a long plait, allowing it to fall down her back to her waist. Knowing there was little more she could do to improve her appearance, she stepped out of the room and into the sunlit kitchen. She heard heavy steps behind her and turned to see Eldarion. But it was not. Haidar smiled softly at the girl, his finest court attire freshly pressed. Around his shoulders was a deep blue cloak, the clasp adorn with a matching jewel. "My sister brought you a gift," he said. "It is waiting in the sack by the doorway." Confused, Ailsa followed Haidar into the adjoining room, smiling at the other ladies as he did so. As Haidar had said, there was a large sack near the door, it's content fairly large from the bulges in the cloth. Unlacing the top, Ailsa's eyes went wide as she saw the contents. "I fear to ask what your sister has in mind," she announced, turning to the others with a gold-hilted sword in her hand. Eldarion woke up the next morning as the first rays of sun reached his face through the windows of the room. Yawning and stretching he opened his eyes and looked around the room, noticing he was not at home in his own room. It took a moment for his still sleepy mind to remember the events of last night, but then he felt a sting of pain deep inside as he remembered the last words his mother sent after him - that he was no longer welcome as her son. He heard some rustling from the other bed in his room, and met Lord Haidar's gaze as the man woke up. He offered a smile, remembering how the Kamalli Lord had received him and Ailsa in his home last night after they left Lord Elrond's house after the unfortunate engagement party. "Good morning, Mylord," he greeted gently. "I hope you had a good night's sleep, in spite of the intrusion of your privacy..."
Raising from the couch, he moved off to the sink where he splashed his face with cold water. After refreshing himself, he got dressed and prepared himself for the day ahead of them, pondering what Lady Ardis and Lord Haidar had planned to help them. He was ready to fight to protect his sweet Ailsa, and his green eyes sparkled with joy by the thought that he soon would see her again. He followed Lord Haidar out of the room and was by his side when Ailsa unwrapped the gold-hilted sword. He breathed deeply when he saw the sword, smiling as he realized Lady Ardis's plan. "I think I have a vague idea," he said. "And I think it is a brilliant plan, if it works. I will do what I can to support you." He had just finished his sentence when he heard Miss Isabella's voice from the kitchen door. "If you care to take your seats at the table, My Lordship," she humbly requested. "Your breakfast is ready..."
From the bed, Lord Haidar heard the rustle of the young elf waking up. He himself had been awake for several hours, his mind running about with idea of how to correct the situation he had been put in. When he saw Eldarion's smile, he returned his own, not wanting his guest to feel unwanted. He chuckled as the boy's mention of privacy invasion. "As a military man, you know that you must share your bed with anyone that needs it. I have spent more than a few years sleeping among my men in cramped quarters, a place where privacy is as slim as the unfilled floor space." Ailsa glanced up at Eldarion's face as she held out the sword, noticing the smile on his face. "If you believe it is only for training," she added, "you must look at the rest of the bag. There is full set of armor there, complete with helmet. Does the lady expect me to fight on the FIRST DAY?!" "No, I expect you to appear prepared for a fight," answered a soft voice as the door snapped shut. 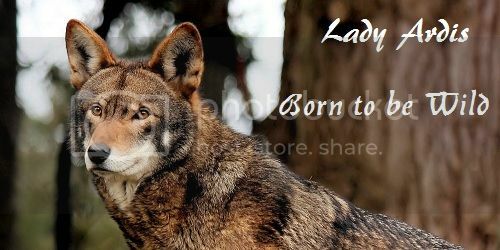 Ardis smiled to everyone, little Niamh on her hip and the wolf Tala trailing behind loyally. "We must show the council that you are prepared to do anything to reclaim your throne. It the mean time, you must adjust to the weight of full armor as you train." Kissing her brother's cheek, the brown-haired woman slipped into the kitchen and greeted Yvette and Isabella. "Would you mind taking care of Niamh while my brother and I are at the meeting. I would have asked Ailsa as I normally do, but as you can see, she is going to be training with sharp objects today. I know Yvette would love to spend time with her cousin." At first Eldarion had been uncertain of whether or not the Kamalli Lord wished to have him and Ailsa as visitors in his home. Even if he was Ailsa's cousin, Eldarion was aware that Lord Haidar could find himself in a very difficult situation if their presence should be detected by the wrong pair of eyes. He was relieved when he saw the smile on Lord Haidar's face and smiled back, as he didn't want the young Lord to feel he was ungrateful. He nodded when Lord Haidar spoke of the men's duty to share beds with anyone in need - a fact his father had spoken of more than once. "My father have told me, Sir," he replied. "Even if I not yet have your years of experience I am willing to do my duty if it is required of me." As he saw Ailsa again, he looked at the rest of the bag as she required, noticing that it was fully equipped with anything a good soldier needed for combat. The armor was more refined than the usual of the common soldier - implying the one carrying it was of noble blood. "Well, these are nice weapons," he said as he inspected the bag. "The sight alone should be enough to impress anyone staring at you." He listened with a smile as Lady Ardis spoke of how Ailsa would have to show she was prepared for a fight, and he gave the girl's hand a gentle squeeze. "The Lady tells the truth, my sweet," he said softly. "The court will show you little respect if you show any signs of fear. Don't worry though, if anyone dares to challenge you, I will protect you. And we will also start our first training lesson today." Isabella made a deep curtsey when Ardis appeared in the kitchen, and Yvette hugged her aunt and the baby and kissed them both. The young woman smiled when Ardis asked her to take care of Niamh while she and Lord Haidar was at the meeting. "It will be my pleasure," she replied and reached out her arms to pick up the little girl. I am certain that she and little Yvette will get along well, and I know many songs and fairy tales that might interest two young ladies. Little Miss Niamh will be safe with us." Ailsa was relieved that Eldarion approved of the quality of the armor, knowing his practiced eye would come in handy in choosing her gear. She smiled softly at him when he mentioned the impressed stares of others when she wore the armor. "I do not wish to impress anyone, only to have them listen," she explained. "I do not see how my wearing armor would not come off as a threat of war?" Haidar understood the girl's reservations and touched her shoulder. "You must put on a solid front," he told her. "The men of the council will not take you seriously in a ballgown and tiara. They want to know that you will FIGHT to get back your kingdom. It seems a foolish notion, but it will work." When Eldarion mentioned that he would be at the meeting to challenge anyone that went after Ailsa, both Haidar and Ardis answered at the same time. "No!" they cried. The two siblings smiled at one another for the joined thought, but Haidar allowed his sister to speak. "Eldarion, you cannot attend the meeting with Ailsa. Your presence will only infuriate the elven council even more. You must allow her to stand for herself, for her people. Haidar and I will be there to protect her. The elves cannot know that you have abandoned them yet." Kissing the child's cheek, Ardis laid Niamh in Isabella's arms. "You look so natural with a child in your arms," she commented, not knowing her brother was just entering the room. Eldarion smiled when his beloved Ailsa claimed not to wish to impress anyone, caressing her cheek gently. "Unfortunately I know my kin well enough to assure you that this kind of attire will be the only thing that will make them listen to you," he said quietly. "Some of them are right outspoken snobs - a trait I do not appreciate in the least and hope I am not guilty of myself. For them, the attitude you show today will mean everything. Show bravery and courage and you may be able to win some allies." Hearing Lord Haidar's words about ballgown and tiara, the young elf nodded seriously. "Your cousin is right, my love," he said gently. "This attire and the way you respond will be a good way to gain their support, or at least lending their ears." He sighed heavily when Haidar and Ardis wouldn't let him attend to the meeting with Ailsa, but he knew they had a point about the elven council. It wouldn't do to lose support for Ailsa because of him. "I see your point, Mylady," he said and bowed to Lady Ardis. "And I admit that you do have a point. I wouldn't wish for Ailsa to lose support because of me. What do you wish for me to do when Ailsa is at the meeting?" Cradling little Niamh in her arms, Isabella did not notice that Lord Haidar was just entering the kitchen. The young woman blushed by Lady Ardis's words, wishing for a brief moment that she had a child of her own - and that Lord Haidar was the father. "Thank you, Milady," she replied when Ardis said she looked natural. "I became a teacher because I like children. Perhaps I will have some on my own one day.."
while unsure about taking on full armor at the meeting, Ailsa knew that Eldarion's knowledge was what she could trust. "If you believe this is the only way," she sighed, "I will stand tall and strong -- as my grandfather did long ago." Learning that Elddarion would not be attending the meeting, Ailsa wanted to protest. She was terrified not to have him at her side, the rock that she depended on. "Gather supplies in the market," she told him, wanting to give him something to do while they were away. "We may need to make a hasty retreat if this does not go according to plan. If you can secure mounts as well, try. We must be prepared for the worst." Seeing Isabella with Niamh and her words about children, Haidar could feel his heart race. Coughing to announce his presence, he offered the girls a smile. "We must be at the Queen's house in an hour. It would be best not to arrive late." Seeing the uncertainty in Ailsa's eyes, Eldarion hugged her tightly and kissed her cheek. "I know you will make a great impression, my sweet," he told her gently. "And your grandfather would be proud if he could see you know and see the woman you have become." He nodded when she told him to gather supplies in the market, knowing they would have to make a hasty retreat if their plan should fail. "You are right, my angel," he said gently. "I will gather all the things we need for a long journey, and also secure mounts for our personal use. I have loyal friends who will not be afraid to take a risk to help me. I will be back before you return from the meeting, so you don't need to worry for my sake..."
Hearing the cough from the doorway, Isabella blushed deeply when she realized he had overheard her words about children. Did he already know that she wished for him to be the father of her children if her wish one day would come true? She did not dare to meet his gaze, but made a deep curtsey when Lord Haidar spoke of their need to leave for the Queen's house. "Of course, Mylord," she stuttered. "I will stay here and take care of the two little girls when you are gone. They will be safe with me." Eldarion smiled and draped a cloak around himself. "And I will go to the market and gather the supplies," he informed. "I will wear a hooded cloak to not withdraw too much attention." Satisfied that the elf lord would be occupied for the meeting, thus bringing less pressure upon Ailsa, Haidar felt more assured about the prospects of the meeting. He knew it would be an uphill battle, as opposition was sure to come from high elf families like Glendor and Lindear. But Ailsa would not be without allies, even if those allies could not say so openly at the time. As quick as she was to stay formal, Haidar had caught the blush on Isabella's cheeks as she held Niamh. Bowing in return, he kissed Yvette's cheek and smiled once more at Isabella before leading Ardis out of the room. At the door, they could see Ailsa saying farewell to Eldarion, the red-haired girl fussing with his cloak to make sure he was concealed. “I am ready for this,” Ailsa said with a nervous smile. Hoping her words were more than show, Haidar hurried off to the Queen's council chambers. Ardis and Ailsa followed some time later, slipping into the private quarters so that Ailsa could change into her armor. The girl appeared nervous but did not protest. Ardis could see her fumbling with the sword belt, knowing the girl had never drew a blade in her life. At the Queen's House the elves of the Royal council gathered for the extra-ordinary meeting. Lord Glendor and Lindear were already residing at their seats, their voices full of their usual malevolence as they loudly expressed their opinions in the Court room. Both Lords were dressed up in their best clothes, looking as haughty as ever in spite of the punishement they had suffered after their duel with the Prince. Not far away from the Queen Lord Elrond had showed up to show his support to the Queen, to make sure she wouldn't have to face her enemies all by herself. His face was a bit paler than usual after the shock of losing his eldest son Eldarion, but that didn't stop him from doing his duty to protect the Queen. Princess Wildfeather of Mir had just entered the room side by side with her husband. Queen Radella herself had helped her choosing an outfit for this meeting, so that no snob of an elf lord could pick on her and mock her for lack of taste. Even if she hated this play for the gallery, as she called it, she wanted to support her husband and mother-in-law when they faced the snobs at the Royal Court. Seated by her husband's side, Wild looked around with sparkling eyes. "What is this meeting for?" she whispered to her husband. "And what are Lindear and Glendor doing here? I thought they were in trouble after the duel?" Lord Haidar was rather quiet as he strode into the council chambers, his eyes scanning for allies. He immediate caught the sound of Lindear and Glendor's chatter and knew what the feel of their vote would be. The presence of Elrond and the royal family filled him with a sense of relief. At least he wouldn't be going into this fight alone. She paused to give the two a smile and Blaz saw she was also worried. What was going on?! Lindear and Glendor glared at Lord Haidar as he strode into the council chambers. Their eyes were cold and not very friendly, but so far they kept a casual tone for the sake of the Elf Queen. Everyone knew they thought humans were lowly and should only be used as servants. Also Elrond met Lord Haidar's gaze when he entered the room, and his eyes were friendly. He had fought in many battles by Lord Haidar's side, and he respected the man for his courage in battle and for the fact that he was loyal to their people and their cause. Wild nodded friendly to Lord Haidar as he entered the room, ignoring the ice cold stares from Lindear and Glendor. Lord Haidar was Ardis's brother, and Ardis had always been a friend and almost like a sister to her. She had no reason to be impolite to the brother of her adopted sister. Besides, Lord Haidar had always been friendly to her, and he had adopted little Yvette and made her a very happy little girl. Also for this reason he had won the friendship and eternal gratitude of the Mirion Princess. Listening to Blaz's words about high-born families, she shuddered and rested her head on his shoulder. "I hate that expression," she whispered to him. "For me, high-borns and low-borns are elves of the same elven blood, and they all have the right to be treated with friendliness and respect. And you already know that I don't think poorly of humans either, as I have always supported your ideas of elves and humans being equals." She perked her ears in curiosity when Blaz admitted he did not know what was going on. It was very rare that Queen Radella did not confide in her own son. "Perhaps she had a reason to stay quiet about it, my love," she said and kissed his cheek. "But we will find out soon, I suppose, since she called us all to this meeting..."
She rested her gaze on Lord Haidar as Blaz pointed out that the man was nervous. "I don't see a difference," she smiled. "But you know him better than I do, so you would notice of course... As for the atmosphere in the room, I have to agree with you. Also I feel a tension in this room today. Something is wrong, and it scares me..."
She silenced when she heard the soft rap on the table beside them, and she smiled softly to her mother-in-law when she opened the meeting. Queen Radella had always been a sweet and caring mother-in-law, and Wild wished to support her new family if she could. "Êl síla erin lû e-govaned vîn, Mother," she replied and bowed her head politely. Lord Glendor and Lindear snorted when the Queen welcomed Blaz and Wild to the meeting. In their opinion the elf Prince should have married one of their daughters and not this... stranger. True she had no human blood, but she wasn't from Isparia either - and this fact was a HUGE thorn in their eyes. The two elf Lords looked at the Queen with displeased face expressions as she spoke of the end of the war and how the trade routes with the Human Lands were open and free to Isparia. This was good news of course, as it meant that they would be able to buy even more luxury for their own families. But when the Queen spoke of giving aide to the rebuilding of the human lands they started protesting. "Why would we have to aide the humans in rebuilding their lands?" Lord Lindear asked in a very upset tone. "They did nothing to help us rebuilding our villages when they were on fire. In fact, many of them were guilty of burning them down!" As the meeting opened, Radella smiled at Wild and inclined her head at the elf princess's greeting. It was calming to know that her successor was present and would help to continue the policies she hoped to put into place with today's proposal. It would be hard to sway the ancient elven families like Lindear and Glendor, clans that did not appreciate the contributions the Kamalli and Human Kingdom had put forth in the Dark Times. If it was up to the Queen, the Human Lands would be set free just as her own people had been in days of Old. While he could not vocally respond to Glendor's disgust at Wild's presence, Blaz sent a look at the elf lords that swore a second round on the training field if they got out of hand. As she put forth the reason for the meeting, Radella was already preparing for a rebuttal from the elf families. The final words had hardly left her mouth when Lindear offered his opinion. So it begins, she thought. Composing herself, she smiled in the elf's direction. Wild smiled when her husband was not angered with her for her rejection of the leveling elven clan system, and even more happy to find out that he was against it too. "I am so glad I married a smart man," she purred and kissed his cheek. "I will support you in any way I can, you know that. And I am certain that our friends will support us too. Yvette has told me that Lord Haidar has taken in a young human woman named Isabella. She is a teacher from what I understand. Perhaps she could help too? Teachers have great influence over their students I am told." As the meeting opened, the Mirion Princess studied the way the Queen opened the meeting, filing away her work methods for later use. She admired her mother-in-law for her politic skills and her refined way to express herself, and she hoped one day she would be able to follow in her footsteps and serve the people like the Queen and her own parents had done before her. For now she was only the student, grateful for every chance she got to learn. She listened eagerly as the Queen put forth the reason of the meeting, and she was glad to hear how her sweet Mother wished to help the poor humans building up their world after the devastating war. However, the Queen had only just finished her sentence before Lord Lindear uttered his opinion. Like Wild had expected, it was not very positive. At her arrival she noticed the disgust Lindear and Glendor felt at her presence, but she giggled inwardly when she saw the look her beloved Blaz sent in their direction. She remembered how poorly they had fought last time and knew they wouldn't stand a chance against her husband on the training field a second time. The gentle squeeze she placed on Blaz's arm showed how much she loved her husband and how much she appreciated his protection from the two snobby elf lords. The Royal council listened in silence to the Queen's words when she spoke, their face expressions a wast variety from Lord Elrond's friendly supportive one to Lindear's and Glendor's looks of utter disgust. To them the humans were lowly, only meant to be the servants of the elven race. Why on earth would anyone put down effort to help them? "The Dark King was a human, not an elf," Lord Glendor pointed out. "So this makes the war and the destructions of both worlds a human problem, not our fault. Why would we have to pay for what the humans did? The humans have to clean up their own mess!" "Just like you clean up yours?" Lord Elrond chimed in, making Lindear's face red with anger. "These humans have fought side by side with us against the enemy for the whole duration of the war. If you had gone to battle with us instead of hiding behind the skirts of your wife like the coward you are, you would have noticed that. Their homes were ruined by the enemy soldiers, just like our homes were ruined. The people have nothing to rebuild their homes and lives from - and the only way to avoid an uprise from a starving people is to lend help before their suffering goes too far. I am certain that the Mirion Princess, who has lived among humans for so many years can tell you how easily angered humans turn to revolution." Wild grinned when Lord Elrond turned her head to him, knowing what he wanted her to say. "Lord Elrond is right," she confirmed. "In Paris we experienced a summer without crops. The people were starving, and the worse the hunger became, the angrier the people. One day they gathered in the streets with pitchforks and torches, and started searching for someone to hear their complains. The Parisian Captain of the city guards was foolish enough to talk to them in the most arrogant way. One moment later, the people dragged him down from his balcony and started beating him up. He screamed in agony and pain when his suffering became more than he could handle, but they kept on abusing him. Finally he begged for his suffering to end - and the crowd killed him with their bare hands and dragged his corpse to the market place. There they burned him on the pyre, declaring that they freed the world of this demon." Lord Elrond listened to Wild's words with a sinister look on his face. "So you see why it would be a good idea to help our friends and allies before they suffer more losses because of hunger and disease," he continued. "I support the Queen's suggestion and will offer wood from my forests so the people can rebuild their homes. Lady Eileen has already assured me that she has discovered a method to make new trees grow faster, so the forest will soon recover after our building project." "And I can offer stone and bricks from my masonry," another voice chimed in from further down the table. The elf sitting here was not as rich or as famous as Lord Elrond but he had a friendly face. His family ran a successful masonry and the building materials he delivered were made to last for a lifetime. Blaz listened as Glendor argued against the Dark King. The elf lords points were valid – Ulric was a human, yet his crimes had been against ALL races of Brunian. He was about the rebuttle when he heard Elrond's response. He smiled at the elf, glad that he had the sense to bring Wild into the conversation. It was important that she get a chance to show her knowledge as a future Queen. Lord Elrond winked at Prince Blaz and met his smile with a friendly smile of his own. He knew that the future Queen needed to show her knowledge as well, but he was also prepared for Glendor's and Lindear's reaction to anything the young Princess might say at the meeting. He knew very well that they did not aknowledge her as their future Queen. "What does the people of Paris have to do with our world, Your Majesty?" Lord Lindear said haughtily when Wild was done talking. "It is no guarantee that the people here will rise just because the Parisians did." Lord Elrond turned to the Queen and bowed politely. "And there is no guarantee that the people here will sit still and allow the suffer to continue without trying to stop it," he said. "Which is exactly my point. The sooner we come to the aide of the human lands, the better are our chances to prevent the poor from revolting against us." Wild watched her husband with pride as he rose from his chair, proud that she was married to a man of such wisdom and politic skills. She knew he would be a wonderful King of Mir once they had kicked Morg off the throne. But first she wished to show her support to him. "You are right that we need to stop the corrupt leaders, my love," she told him. "But what can we do to help the people of Brunian as well as our own people?" She listened as Lord Haidar spoke of a new leader, and heir to the throne. She looked up at Blaz to see if he knew anything about this. Wild herself had no idea who this ally could be. "What kind of leader are you thinking of, Mylord?" she asked gently. "Do we have any possible allies that have the claim to the Brunian throne?"